Hello and a happy Monday to you! Recently I bought the Striped Backdrop Die from Lawn Fawn thinking it would be one that I would use quite a bit. Then, when it arrived I wasn’t so sure! However, that thought was soon expelled from my mind when I started having a play with it! All cards featured on my blog this week will feature this die and to be honest a real easy straight forward way of using it! I’ve seen people using 2 of these together to make a trellis which is a great idea but one that I have yet to put into practice! So, starting with today’s card, I have used Lawn Fawn’s Fintastic Friend’s stamps and dies, Lawn Fawn – Stitched Circle Die, black cardstock, Lawn Fawn cardstock, Lawn Fawn – Let’s Polka in the Dark paper, Spectrum Noirs and of course the Striped Backdrop Die. Next > ‘Best Fishes’ Part 2! Fab card Karen! Love your colour choices – really zingy and fresh. I think I need this die….. Awesome card! I do love Lawn Fawn stamps! 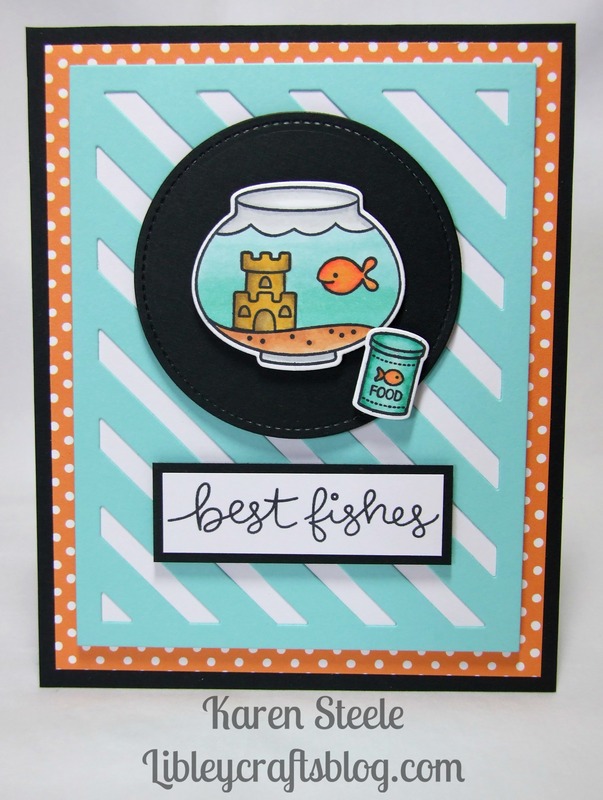 And, the striped backdrop die is fab! Fun Fun! I love this image and that background is great! This is sooooo CUTE, Karen!! 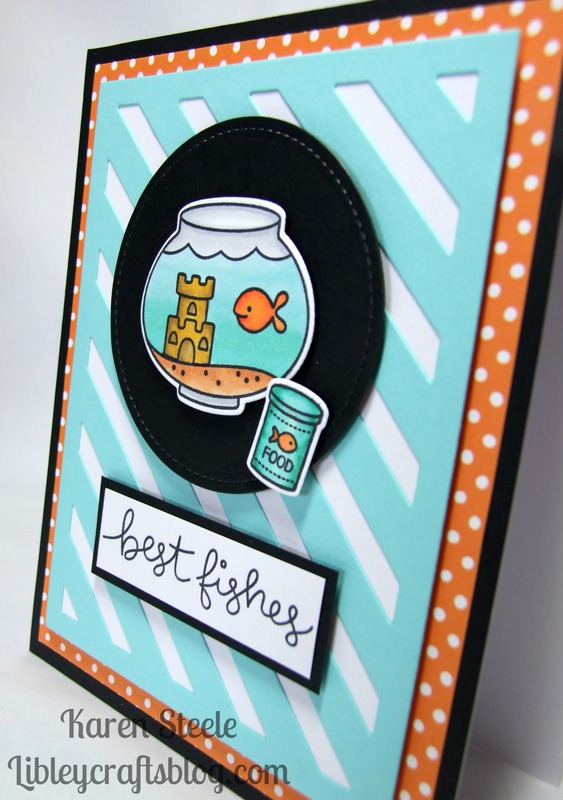 Love the beautiful colors you’ve used together and that polka dotted paper!! Adorable!